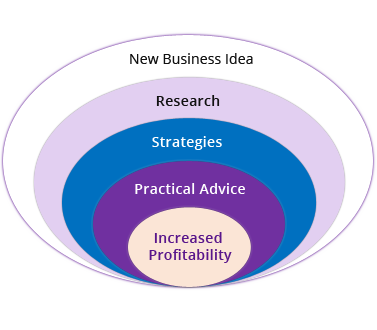 Need help in reassessing your business strategy? Are you seeking an unbiased advice to get clear on your goals and the long term plan of actions? 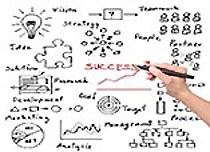 We can help you outline practical steps to rapidly move ahead in major areas of your business. Worried about not having enough clients? What additional streams of income can increase your sales? How can you attract and retain your customers? Maximize your capacity and monthly sales without ever compromising quality and customer experience. Frustrated with customer complaints or supplier issues? Do you realize that frustrated customers, unreliable suppliers, employee turnover cost you time and money? You will be able to deliver good customer experiences, retain employees, avoid conflicts, and reduce costs. WHAT IS YOUR MOST PAINFUL ISSUE? We are here to advise you on how you can run your business in a struggle free way and sustain it in the long term. Is your primary goal to build a highly profitable company and stay in business for many years ahead? 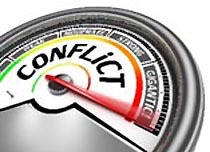 Do you feel that difficulties, conflicts and struggle should no longer be part of your business reality? 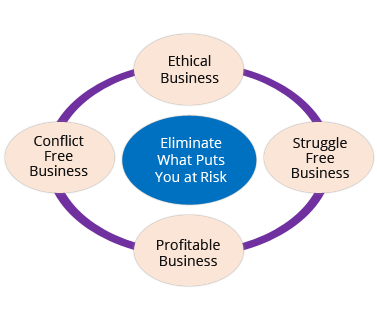 Do you want to significantly increase your revenue and reduce costs, but to do so in an ethical and proven way? 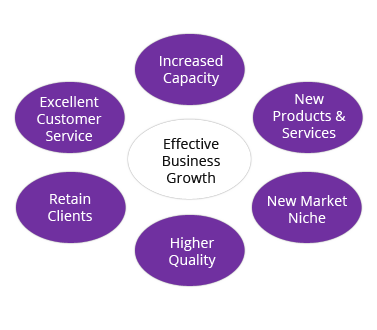 Are you adamant to deliver high quality products and services and ensure your customers have great experiences? Do you want to retain your best people and build lasting effective relationships with your suppliers and Joint Venture partners? If you answered "Yes” to any of these questions, we would love to work with you on transforming your business into a highly profitable, sustainable and struggle free venture. In order to explore a possibility of us working together, we invite you for a FREE INTRODUCTORY SESSION, where we can clarify your long term business objectives, understand your major business issues, and outline the next steps that are crucial for addressing your unique business situation. If you Think Long Term, every decision will bring you closer to your Long Term Vision for Ultimate Business Success. If you are determined to increase your business profitability, but aren't sure about your next immediate steps, need more clarity to see the long term direction, and are concerned about your overall business situation, this one-on-one coaching program will turn your business growth into a very productive, uplifting, and adventure like experience. You will be getting an effective plan of actions and the full implementation support that will enable you to run your business effectively and struggle free. If you have been experiencing ongoing customer complaints, conflicts with partners, are tired of dealing with unreliable suppliers, or are worried about retaining your best employees, partners and customers, you definitely want to check out this program. Choose to transform your business relationships into the true partnerships, when each party does what is theirs to do with the maximum contribution to overall personal and business success.